Where: Hails from Japan, but now lives and works in Ridgewood, Queens and runs Lorimoto Gallery with his wife, also an artist, Lori Kirkbride. What: Large sculptural installations possessing a great humor and whimsicality, combining manmade conventions with the natural world. Where you’ve seen his work: Nao is represented by hpgrp GALLERY in Chelsea, New York and was recently featured in their booth at Volta, New York. Why we're into it: Nao's sculpture is characterized by an uncanny blend of super-saturated color and hyperrealism with a pop aesthetic reminiscent of the sculpture of Jeff Koons. 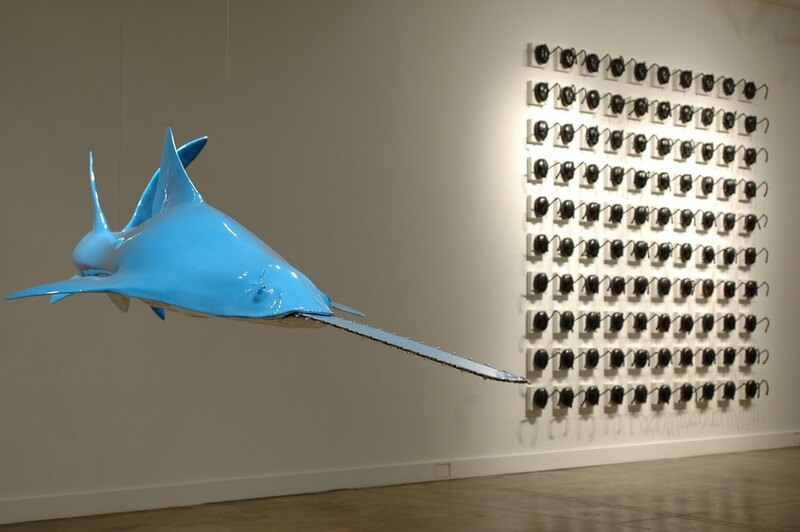 His work at Volta, including the brilliant blue, life-size sawshark (Chainsaw Blue), where the shark's long, saw-like nose, is actually replaced with a chainsaw blade, is a prime example of how the artist plays with words and possesses a tinge of social critique. "Sharks and rays have this really exotic feel for me. maybe its the violence that they can lash out is they wanted," Nao explains about his fascination with this animal. 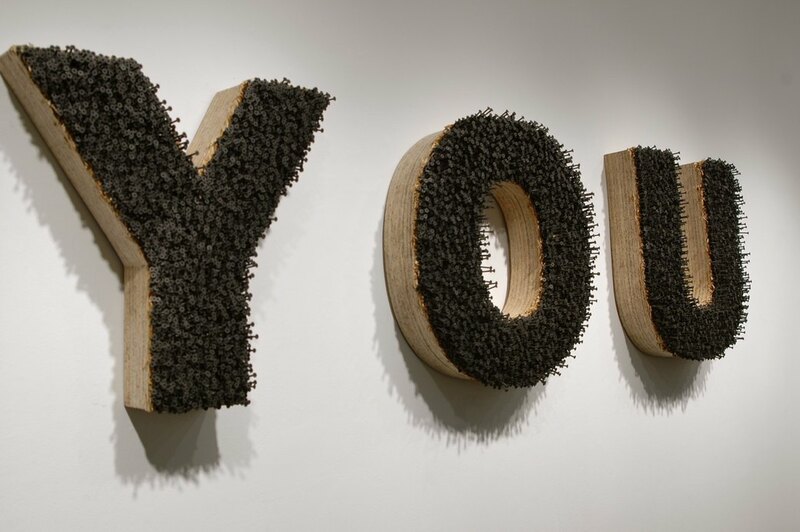 The piece "screw you, screw me" takes Nao's play on words to a literal level, with the two words spelled out with wood and screws. 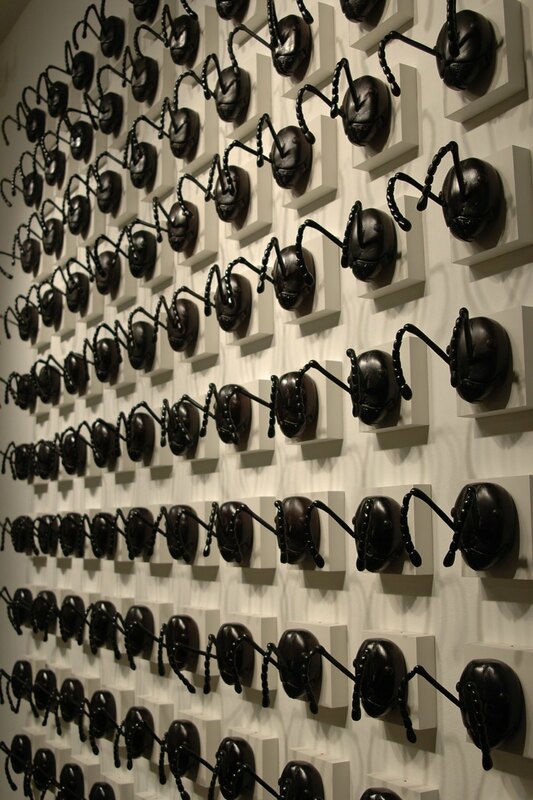 The process involved in making this piece was also an experience in and of itself for the artist. "By giving myself an extremely mundane task I experienced a variety of emotions from near suicidal depression to a celestially enlightened high in its making," Nao says about the process. By first making you laugh, the pieces then make you think about the underlying emphasis on the power of these words and the associations humans create to make sense of the natural world. Stemming from his interest in biology and his training as a sculptor, Nao's work reflects the conflation of this natural world within a framework of our manmade environment. 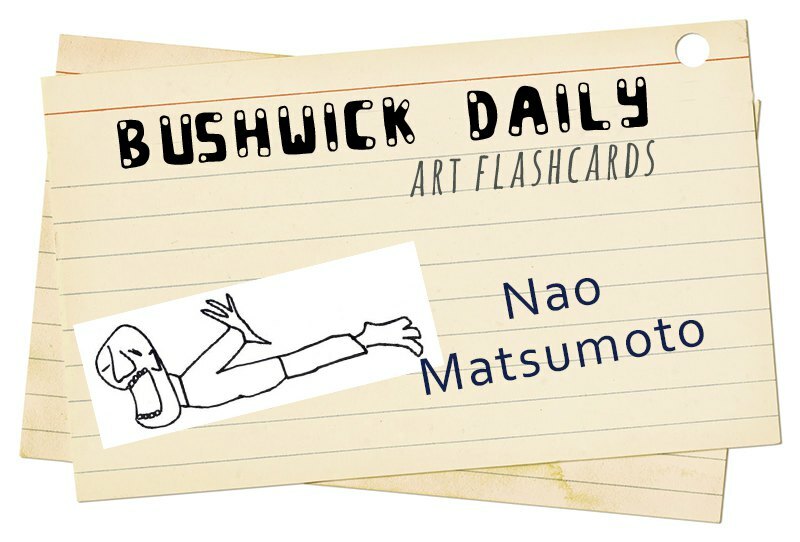 While his subject matter varies greatly from project to project, the introspective and exploratory nature of his process means that Nao is consistently drawing on physical imagery from a variety of sources, but it is his internal emotions and personal experiences that shine through.